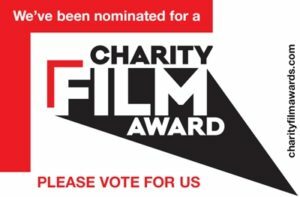 Voting for the Charity Film Awards has now closed. Thank you to everyone who voted for us. Our video Sara’s Story has been nominated for the Charity Film Awards. The video tells the story of Sara, who is just five-and-a-half years old, and how the lives of everyone in her family changed when her mum became ill. Her story is typical of those told time and again by the families we have helped. You can vote for Sara’s Story here. The awards were created to celebrate the success of film in fundraising, to increase exposure of charity films and to encourage donations for good causes. The shortlist will be announced in December with the final judging panel in January, and the winners announced in February. Voting is open for the public until 30th November, so spread the word and vote for Sara’s Story today.